Joysticks aren’t new, but the system you may be considering works a lot differently than those pioneering controls did. And much of the evolution is in the software. Joystick systems, such as this example from Xenta, have long simplified close-quarters maneuvering, but now many of them do much more. 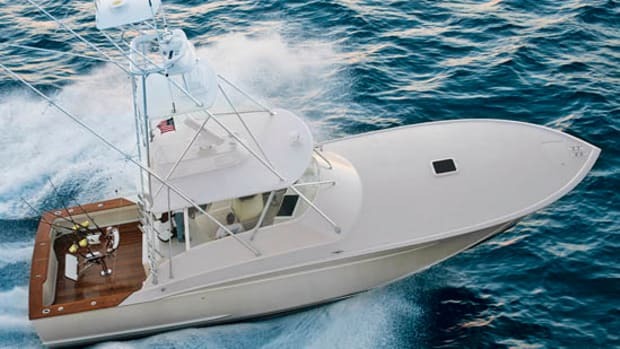 When it comes to close-quarters maneuvering, it’s hard to beat a joystick for a user-friendly interface with your boat’s systems, and it has been that way for quite some time. But you may have noticed—or at least now you will, now that I mention it—that those systems have gotten a lot better. Sure, the boat moves the same way, but a lot of the perceived wear and tear of near-constant shifting and steering movement has been ameliorated by the way the system deals with its challenges. The first thing that has changed is much of the hardware on the boats is new. 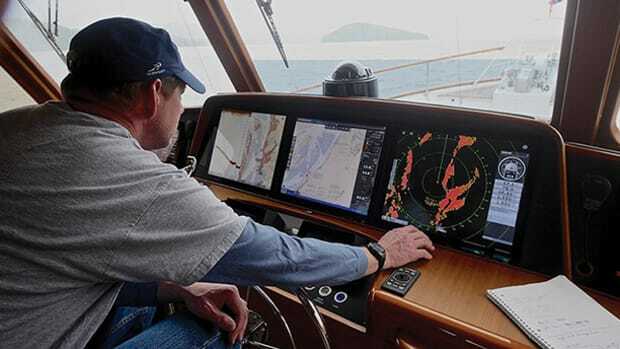 “Actually just about everything connected with electronics in the marine industry has been constantly evolving,” says Lee Moore, senior engineer of the Yacht Group, manufacturer of the Yacht Controller onboard joystick and control systems. 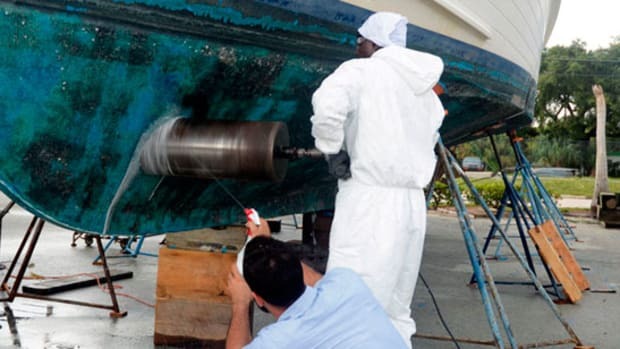 “I can remember a number of years back where to control the bow thruster you just had contact closures and big wires going down to solenoids and that was it. Now everything is actually being done with data streams. Things have really come a long way in a very short period of time in the marine industry: the use of transistors for sensors or for thruster controls or even throttle linkages.” While initially complex, it simplifies the addition of another control system, like a joystick. Since most of the hardware for these joystick systems is an interface with ship’s systems, the modifications have come primarily in the software, bringing a more refined sense of control to the user through that single control head. But how has the thought process changed, and what will it bring in the future? We spoke to some of the people who know—engineers who work on the systems. Here’s what we found out. First of all, those early joysticks used to surprise me with the bursts of throttle I would feel, the engine revving up to push the boat (think about moving a boat sideways—it likely requires a bit more force than moving toward the pointy end). And sometimes a thruster would chime in with its mellifluous tones. Add in some ornery shifting and you get the full effect. Sure, the boat seems to be going where you want but it sounds and feels like an awful lot of work getting there. Why are the systems changing? Mostly, it seems, because of you. 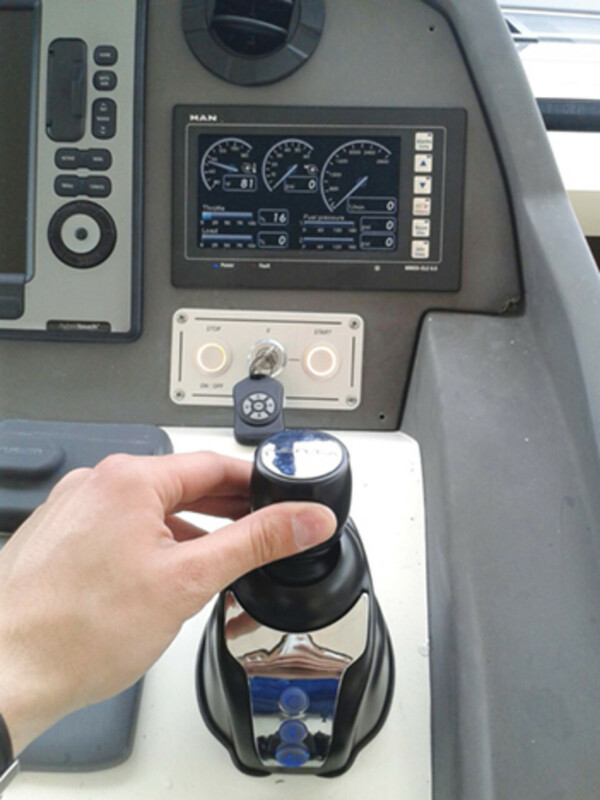 “Since introducing the joystick technology in 2006, we’ve made slight adjustments to both the hardware and software to improve functionality and maneuvering,” says Anders Thorin, manager of product planning electronics for Volvo Penta. “These improvements were made in response to input received from our customers. 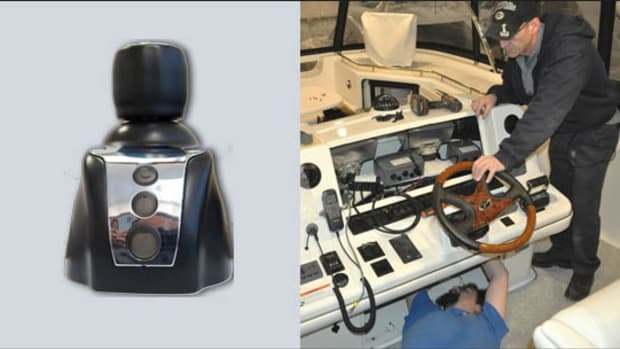 The most recent and significant change to the joystick application was the broadening of installation, with introduction of the technology to stern drives and inboard applications. We see this change as more significant than the minor changes made to the functionality.” Of course, joysticks working with stern drives and conventional inboards will work in different ways than those linked to pod-drive systems. 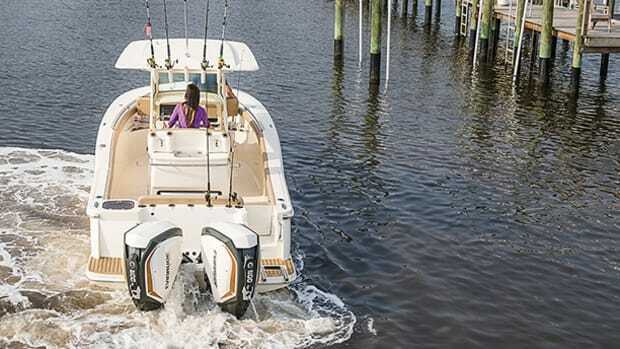 And as outboard-powered boats grow in size and power, their owners want in on the action too. A control head from SeaStar Solutions makes it easy to understand just what’s going on with your engines while using dynamic positioning. Other system manufacturers describe their gentle handling in ways that make it more user friendly. “We’ve developed three zones in our joystick system that allow us to minimize the shifting and the movement of the engines regardless of where you want to put the boat,” Dewitt says. “There’s the one zone where you can turn the boat on center. While you’re turning the boat one engine is going to be in forward gear and one engine is going to be in reverse gear. 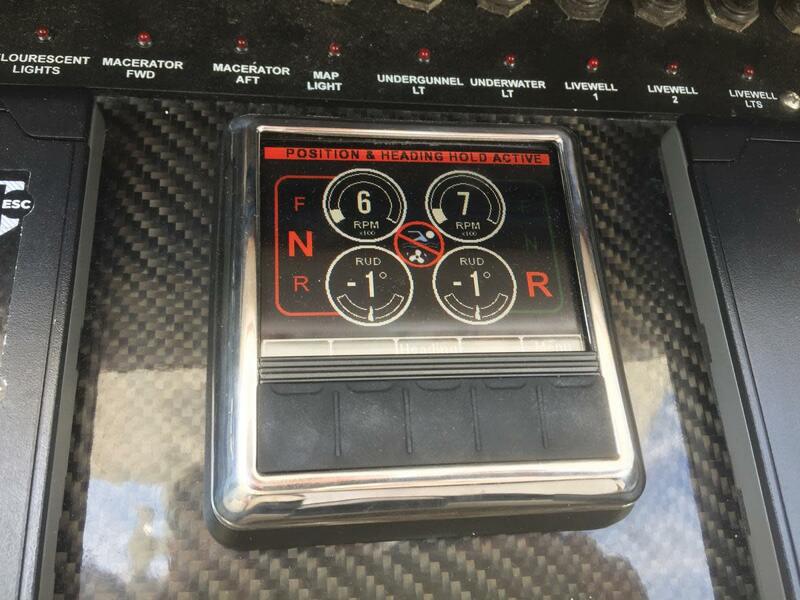 While you’re doing that maneuver, if you want to correct by moving forward, say to better line up with a cleat on the dock for the bowline, or you need to move the boat in reverse while crabbing sideways to a side-to slip, all our system does is modulate the rpm to the forward and reverse engines. 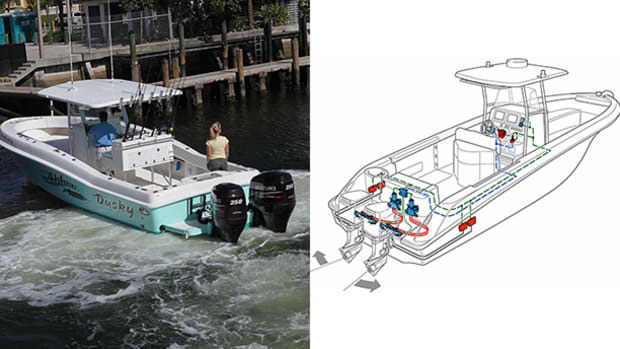 So if you wanted to move forward to the cleat, the forward engine would get a little more rpm, and the reverse engine would get a little bit less so that you’re moving forward while still turning on center.” Essentially the second zone does the same thing, allowing you to walk your boat sideways, because, again, we’ve got one engine in forward and one in reverse, so you correct by adding more rpm to that forward or reverse engine to correct position. The idea that the engine is revving up a bit to modify the boat’s motion, rather than shifting in and out of gear will seem like much less wear and tear on the drivetrain. The third zone lets you drive the boat with the joystick. While gentle handling is one benefit, still another is programming new functions into the joystick system—either upon installation or sometimes through a software update, such as autopilot or GPS station-holding. “A GPS anchor makes use of a lot of the algorithms that we developed for the joystick,” Dewitt says. 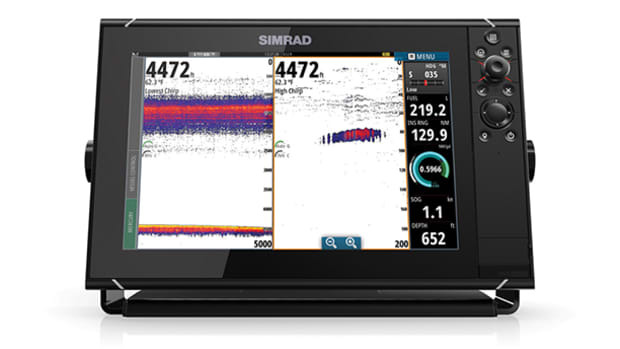 “Our SeaStation GPS uses those same functions. 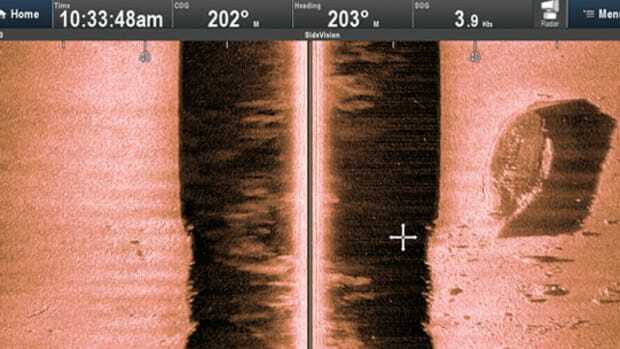 When I did my research in regards to GPS-anchor products I found fishing and charter captains who would say, ‘When I’m holding position I cannot have my engines shifting rapidly: It’s not good for my engines and it will scare my fish away.’ We came up with a three-function system: position hold, so you can just stay on a spot and the system doesn’t have to work as hard, saving fuel, then there’s heading hold so you can drift and the boat will keep you in the same heading position. Think of a kite fisherman, wanting to drift and keep his kites to leeward.” The third mode combines heading and position. 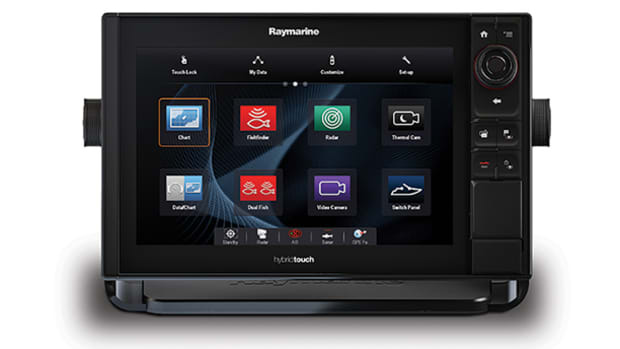 As joystick systems build on the smooth control they already provide using your boat’s proven systems, the idea of adding more and more functionality makes sense. And the only simplicity left seems like it will be in the way you use it.